1 of 57Terrace - time to open a bottle of Porto wine! CITY TAX Vila Nova de Gaia - From 1 December 2018: Guests aged 16 or over and per night, up to a maximum of 7 consecutive nights. 2€ per night, and per person, between 1 April and 30 September. 1€ per night, and per person, between 1 October and 31 March. *Smoking Allowed in balcony and terrace. *Amenities included (free), but must be ordered: - Travel cot, child bed, socket protector, high chair, sand/beach toys, 1 bike...; - 4 adult bikes; - Beach Towels. I will meet you at checkin and checkout. As an owner I am the most helpful as possible and will be happy to give you tips for making your holiday an unforgettable experience. I will be contactable 24/7 during the guests stay, in case of any need. 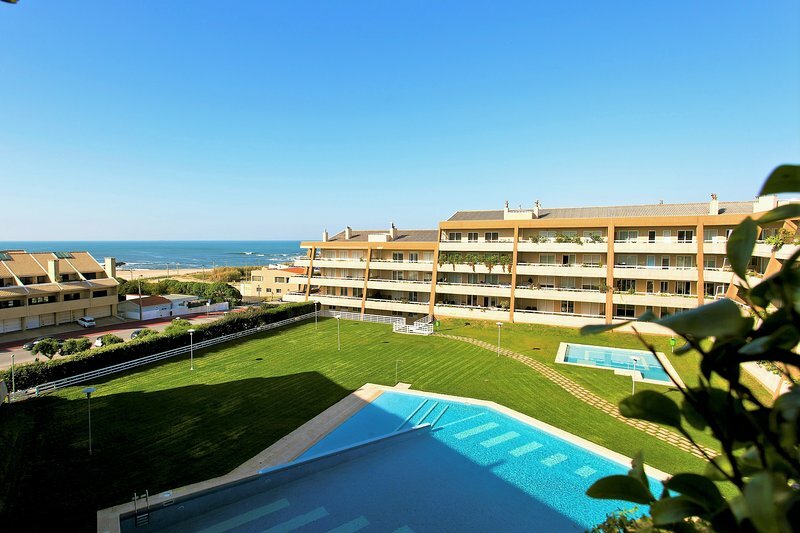 The apartment overlooks Madalena Beach which is very quiet, safe and a pleasant place. 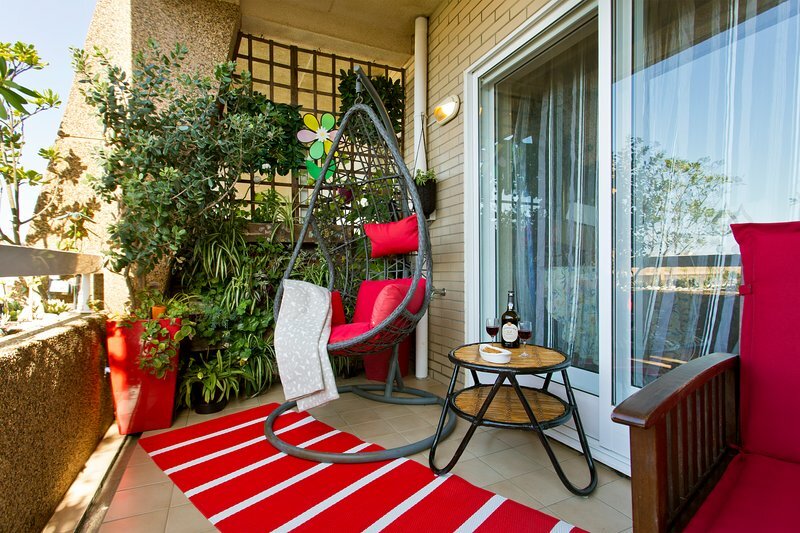 It is situated in a quiet residential area which combines beach and city. 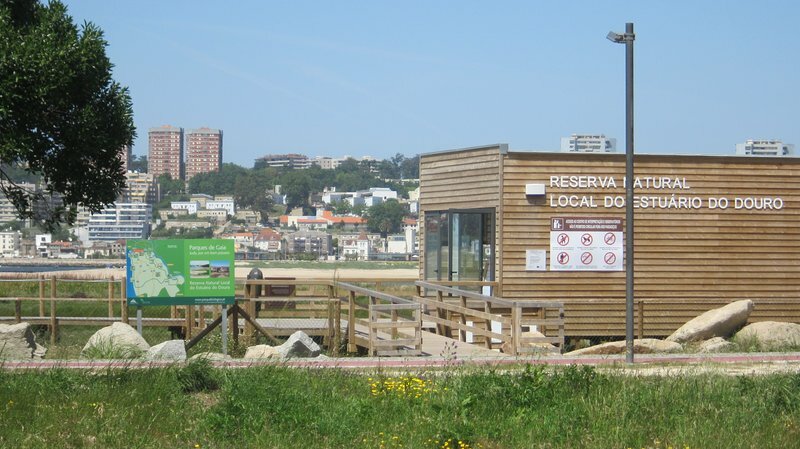 You are only 1 min walk away to the beautiful Madalena beach (Blue flag Beach). The local large sandy beach, with some rocky areas and calm sea, is complemented by wooden walkways which are attractive options for biking or long promenades. You'll find everything to make your vacation pleasurable... sun, romantic sunsets, pedestrian walkways, cycle tracks, an endless variety of water sports, freshwater and saltwater fishing, nature tourism, shopping,... beach bars, sidewalk cafes, restaurants providing interesting activities for all tastes. It is easy to go to the Porto city center. 906 Bus stops are just in front of the building. Or you can use the Uber or Taxi are available and cheap. By bike along the ocean and river side, takes about 40 minutes. Cultural attractions to discover: Oporto (Old Town) 8 km; Vila Nova de Gaia ('ribeira' or waterfront with the Port Wine Cellars) 7 km; São Pedro Afurada (picturesque village) 6 km; Aguda (fishing village) 6 km.